Canadian health researchers are contributing in magnificent and different ways to the health and well-being of Canadians. They are instrumental in making global medical advancements and in ensuring Canadians are the healthiest people in the world. Their dedication to discovery and to all aspects of our health have changed lives and improved our nation. Leadership in health research and health research advocacy go hand in hand. Research gives Canadians our health and advocacy engenders public recognition and support of research, inspiring future generations of researchers and building a knowledge base that promises future cures. 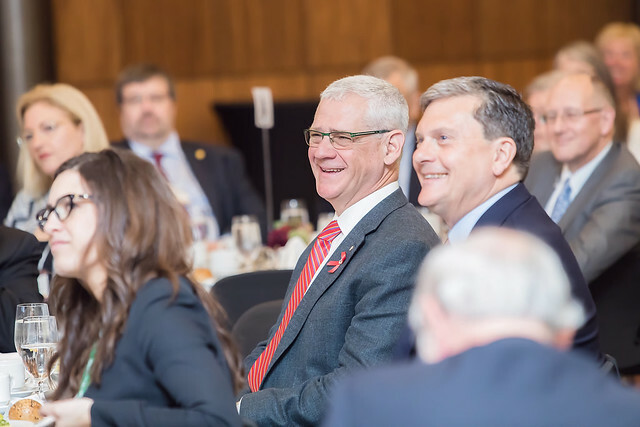 Canada’s 150th birthday is a fitting time to celebrate the leadership of two outstanding researchers who have made significant discoveries in health research and who have inspired so many through their research advocacy. Dr. Montaner is a Killam Professor in the Faculty of Medicine at UBC. He is the Director of British Columbia Centre for Excellence in HIV/AIDS (BC-CFE), a recipient of the Research Canada 2016 Leadership Award. Dr. Grant Pierce is a recipient of the Research Canada 2016 Leadership Award.... he is the Executive Director of Research at St Boniface Hospital and a Professor of Physiology and Pathophysiology at the University of Manitoba. Deborah Gordon-El-Bihbety Presentations – President and CEO Report and Advocating for Change.